It is a project of Interfaith Paths to Peace in the city of Louisville, Kentucky. Interfaith Paths to Peace is devoted to making the community, nation and world more peaceful by bringing people of different religions together to promote interfaith understanding and cooperation. It is not related to any specific religion or religious organization or entity, and is non-partisan. A postcard can be decorated in any way you want, to show the world what you think peace looks like. Draw, paint, sketch, make a collage, or do whatever you want to the postcard to show what peace means to you. 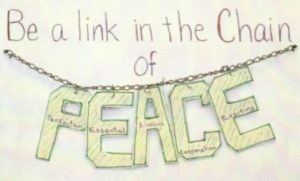 Peace postcards are being distributed around the world to people of all ages. 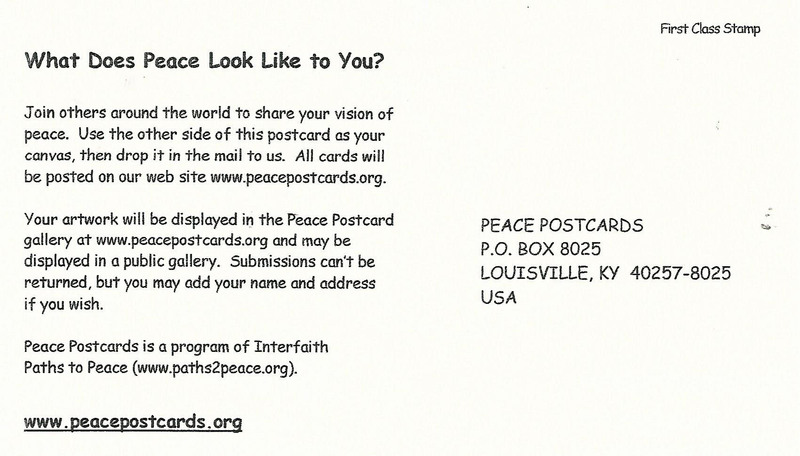 We hope that making a postcard helps everyone involved see and develop his or her own vision of peace. Peace Postcards are self-addressed and only require first-class postage. 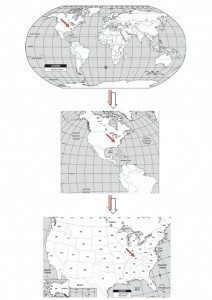 Schools and classes can bundle postcards in envelopes or parcels to reduce postage costs. Mail your postcard to Peace Postcards. 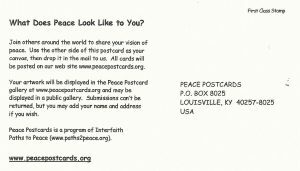 We will display your Peace Postcard in our POSTCARD GALLERY so the World can see your vision of peace. Use this postcard template to make your own, or use a postcard you already have. We will be happy to send you cards without charge for your group or organization.